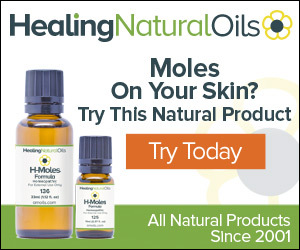 Do you suddenly have a mole that seems to have appeared out of nowhere? If yes, then you might have started thinking What Causes Moles to Suddenly Appear. Don’t fret.You’re not alone. You are just part of 10% of the population who develop between 10-40 moles by the time they reach adulthood. Moles commonly occur on light-skinned people, and for the most part, they are perfectly harmless. Most moles appear in childhood and before the age of 25 years. They are usually brown or black presenting alone or in clusters. They are sensitive to hormonal changes and exposure to sunlight. Any of the aforementioned catalysts will cause a change in color, size and/or an increase in the number of moles. Moles are defined as small colored spots on your skin caused by melanocytes. Melanocytes are the cells in your skin that are responsible for producing melanin or the pigment that gives skin its natural color. A mole occurs when melanocytes grow in clusters instead of spreading evenly on the skin.The scientific name for a mole is melanocytic naevi. Moles are naturally darker than the rest of the skin because of the concentration of pigment-carrying cells. The lifespan of moles is widely varied. They can appear and disappear before you know it or they can last a lifetime.They can be flat or raised, smooth or crusty, brown or black, circular or oval shape and with neat or fuzzy edges. 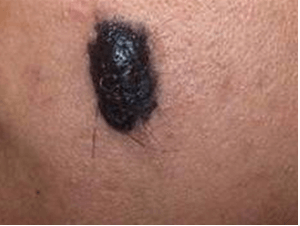 This is why it is important to periodically examine your mole or moles to determine if they are changing. Some changes are nothing to worry about, while some warrant a visit to the doctor. By regularly examining your mole, you can determine which type it is and if it is potentially the cancer-causing type. There are primarily three types of moles. Understanding the type of mole you have is important. It determines whether you will rush to your GP for further analysis or you will avoid wasting your time and money on a benign mole. Either way, information is power in this case. The congenital nevi normally present at birth. On average, they present in about 1% of the populous. 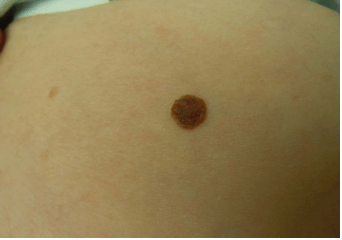 The congenital nevi have a high likelihood of developing into melanoma cancer (skin cancer) than any of the moles that appear randomly after birth. Larger congenital nevi are more likely to develop into skin cancer than smaller ones. Needless to say, anyone with this kind of mole should visit the doctor. Dysplastic Nevi are also known as Atypical Moles. Atypical moles are usually larger than the average size of a mole with unusual characteristics. They are uneven in color with a darker brown middle, and their edges are usually irregular with white borders, reddish borders or black dots all around the edges. The good news is, they are commonly benign. They are largely brought about by genes. However, the more atypical moles you have on your body, the higher the risk of developing melanoma in one of the moles. Dysplastic nevi tend to favor Caucasians.In general, 2-8 percent of Caucasians have them. It is, therefore, imperative for anyone who has atypical moles to fiercely protect their skin from harmful UV rays, watch out for changes in the composition of your moles and visit the doctor for periodic checks. Acquired moles are the most common of all the types. They start to appear from early childhood to early adulthood (25years). The main cause of acquired moles is exposure to the sun. They are typically smaller than the diameter of a pencil eraser, their borders are clearly defined and they may or may not grow a dark coarse hair. 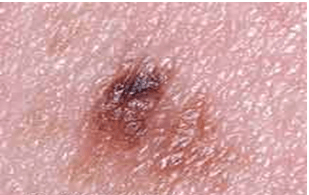 Acquired moles are the least likely of all the mole types to cause melanoma. Ultimately, when you find a new mole on your body, don’t panic. Examine it by the ABCDE guidelines listed below to determine if your mole is something to worry about. If your mole falls under the signs below, consult a doctor. Asymmetry: – If one side of the mole does not resemble the other. Avoid direct sunlight exposure between 10am-4pm. The sun rays are the strongest during these hours. Ensure you use sunscreen every time you leave the house even on days that the sun isn’t visible. Wear clothes that adequately cover up exposed areas of skin, for example, broad hats and long sleeved shirts.